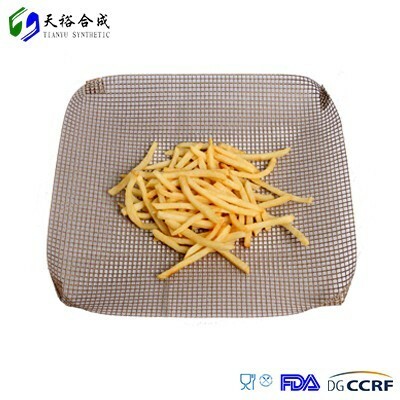 Non-stick Chips mesh baskets are made of high quality fiberglass which coated PTFE in both side .The surface is smooth ,nonsitck and pteventing ovenware . *High temperature resistance, no harm to healthy. *Chips mesh basket reusable up to 50 times, eco-friendly. *Suit for all kinds of grill ,oven and toaster .